Construction of an extension to the rear of the existing Church in Bushmills. 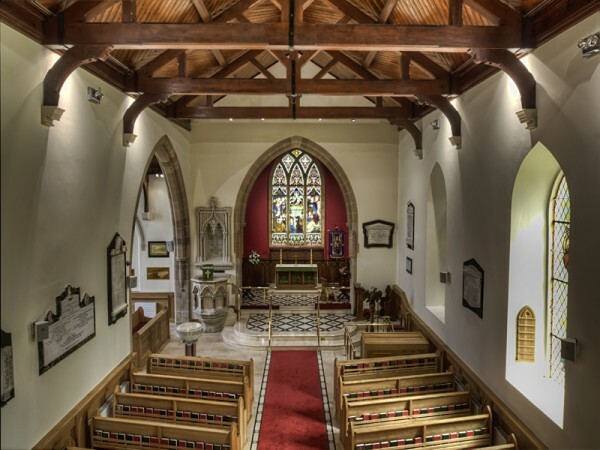 The project involved the construction of an extension to the rear of the existing Church building to form a boiler room at basement level, and a choir room, toilets and store on the ground floor. Alteration works included the replacement of the existing floors and roof coverings, including new natural slates, the removal of the existing wall plaster and provision of dry lining to walls, provision of a new damp proof course, restoration of the existing stained glass windows, installation of new pews, Wainscott boarding and complete re-decoration. New mechanical and electrical services installations were also carried out as part of the contract. 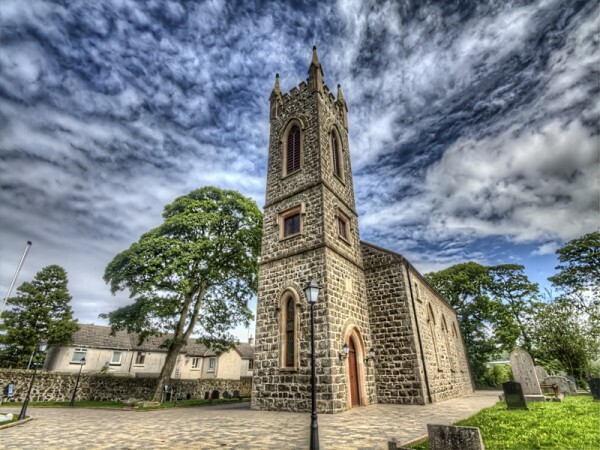 Externally, the walls were re-pointed and new paths and paving laid around the Church. The original fabric was retained and reused wherever possible and where it was safe and practical to do so. Stonework repairs were carried out with minimal intervention. Stained-glass windows were carefully removed, refurbished and reinstated. Roof repairs were carried out re-using as many of the salvaged roof slates as possible. To ensure the new extension was an aesthetic match of the existing Church, reclaimed stone was sourced. It was also important to source new products to compliment the existing structure. A Tegula paving-set was used which had the appearance of a natural weathered stone, creating a timeless effect with the colour matched to the Church building walls, adding character to the outside of the Church. A new audio system was installed to facilitate those with impaired hearing. 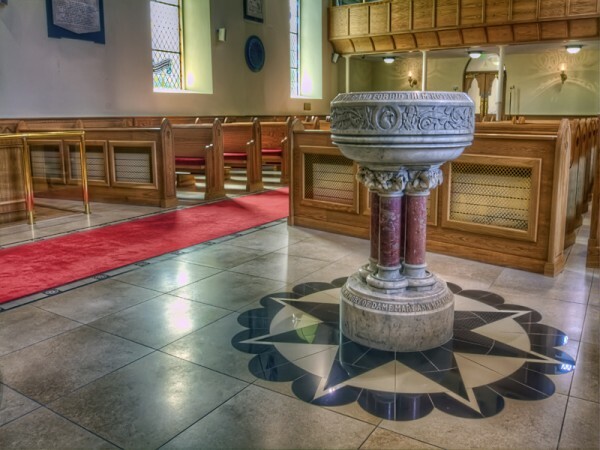 The arrangement and position of the pews was considered to increase the width of the aisle and access to the baptism font. There was a recessed pit to accommodate the organ to allow for the organist to be placed at eye level with the parishioners. Please accept my congratulations on an incredibly well crafted and organised job. 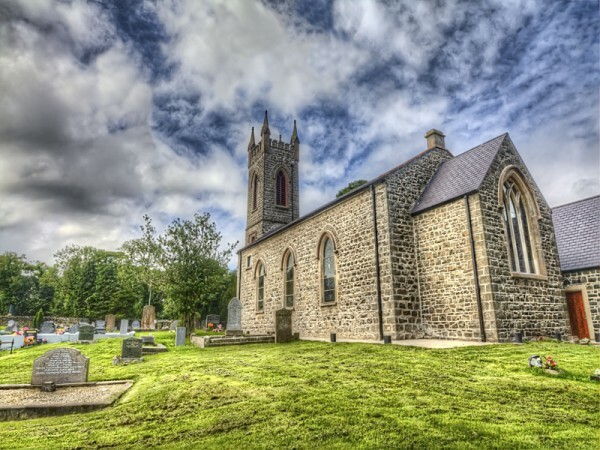 This Church is the envy of every Rector and parishioner in Ireland. I’m delighted that I said things like this to you as the work was progressing but I want to put it on paper”. Correspondence received from the client's adviser stated, "It was an absolute pleasure to be involved with you on this project” and complimented “the fantastic work that was done”. A bit more information about the the St. John the Baptist Church project.